Shiv Vilas is a palace theme Resort located on the Delhi Jaipur highway in the historic city of Jaipur, popularly known as ‘Pink City’. The location of the Resort is extremely convenient due to its easy access by road and is just a 15 km/25 minute drive from the heart of the city. Set amidst beautiful gardens with excellent leisure and business facilities, the Resort surrounded by the lush green Aravalli Range providing scenic views all around Royal experience of luxury in Jaipur. The construction of this architectural marvel commenced in 2002 and the Resort opened it’s Gate to guests in October 2006. The resort provides breath-taking views right from the entrance itself. The beautiful exteriors in white transcends into a canvas for a spectacular show of light during evening when the reddish hues of dusk fade into the beauty of our illumination by night. This Royal Luxury resort is designed by an leading renowned architect from U.S.A. after two years of Research on the architecture of the historic palaces and forts of Rajasthan. A thirty two acre luxury Resort, rich with verdant trees, fragrant indigenous flowers and exotic bird life. 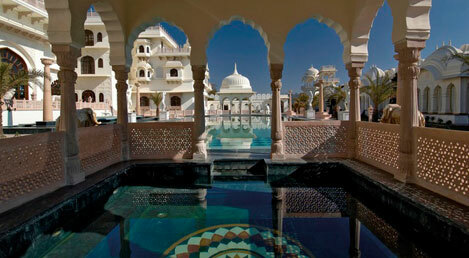 A royal Resort, recreating the magnificence of princely Jaipur, in a beautiful hills setting. 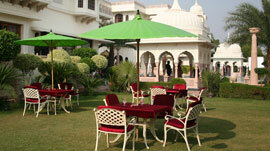 Since inception, The Shiv Vilas has been constantly rated as one of the world's best luxury resorts. Exceptional Details :- To start with.. Anyone wanting to know what detail is .. Do visit the hotel/resort..I mean.. I was so taken by surprise..!! 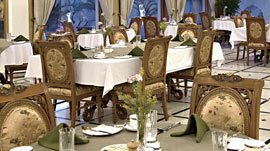 The paintings to the overall decor..To the total ambience of the place is amazing.. One might find it pricey.. But well.. That’s how it goes.. I simply loved the chandelier in the main hall.. And the paintings are just awesome..Congrats on achieving the level of detail that you guys have. 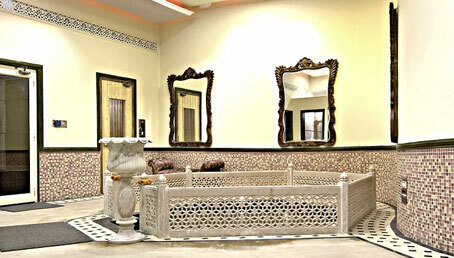 Your personal marble palace :- Excellent stay! 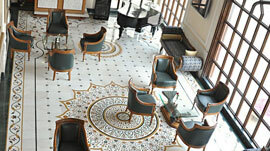 Beautiful Marble Palatial Experience with Concierge Service Throughout. Pricey food with limited menu options but the chef was willing to cater to our personal needs. A little off the beaten path and remote but therefore less crowded as well, not too far from Amber Fort. Very Clean, Very Personable staff. Marriage :- The hotel was superb. It had good amount of space. 3-4 ground in which the families cab have a great get together. The interiors and also the exterior was amazing. Some of the bollywoood movies are also shot at this resort. Brilliant place. Must visit at Jaipur. Never had such a warm welkom in such a beautiful place :- The whole experience at the Shiv Vilas is like you are a Prince in your own palace. You feel at home and you’re embraced by the warm care of the staff and their employees. 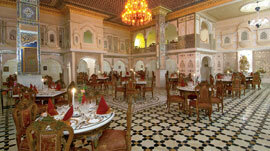 Also in the surroundings of the hotel are very special places like Amber fort an old historic fort from 1650. The city of Jaipur is also worth a visit ofcourse. Wonderful palace just outside Jaipur :- We had a great stay at Shiv Vilas Palace resort. Is is very close to Jaipur so you can visit the Pink City and relax afterwards in this luxurious environment; a true palace. It absolutely deserves its 5 stars. 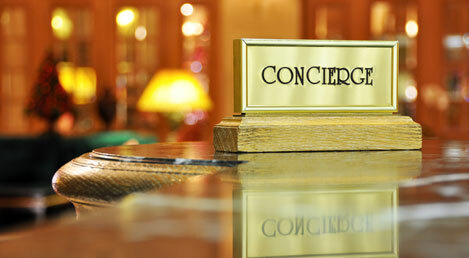 The service is perfect and the friendly staffs members make you feel at home from the first moment on. The rooms are luxurious and comfortable; the pool is very nice with nice corners and tables to have breakfast, lunch or dinner. 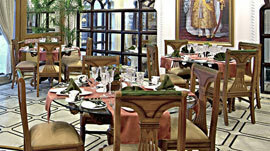 There are several restaurants and the food (both Western and Indian) is very good. The styling of the hotel is elegant and beautiful. Also good for business meetings but we were on a holiday which we enjoyed it a lot. Will be back! Mind Blowing Property.. Amazing Service.. A Must Visit..!!! :- It is an amazing property with beautifully maintained and sophistically designed interiors. A very warm welcome and a very pleasant stay is what we got here. The staff is too sweet and very cooperative. Overall it was an amazing experience of both lavishness and luxury with ultra comfortable feeling.. Awesome stay :- To begin with a very warm welcome with a chilled refreshing welcome drink. We were lucky to get an upgraded room. The room was really out of the world'. Very warm and courteous staff. The staff always approach us for helping an extra mile for its guests. The interior is mind boggling. Good food. Super clean and hygienic. The room service is impeccable and the staff too. Excellent property!!!! :- It was an excellent property. We enjoyed the stay here although the stay was short still we were greeted warmly and taken good care by the staff of Shiv Vilas Resort. We also wish to thank Mr Sidharth and Mr, Ankur for showing their affection towards us. The whole staff is very nice and cooperative. The dinner was lovely but in breakfast sweet dish was missing. Altogether it was worth visiting the property. Luxurious and relaxing :- Shiv Villas is not just a hotel..... it’s a Luxurious resort in the outskirts of Jaipur. I have no words to describe it as each and every thing in the resort from food to rooms Were Great. My Special Thank to Mr. Joydeep, Mr. Sher Singh, Mr. Khan and there whole team to make our stay so memorable. I along with my whole family thank them for a lovely weekend. Will Surely Recommend This Hotel to Friends Just for Luxurious Stay and Pampering from the entire staff. Luxurious stay. Great food. Very warm service :- Shiv Villas is not just a hotel..... it’s a Luxurious resort in the outskirts of Jaipur. I have no words to describe it as each and every thing in the resort from food to rooms Were Great. My Special Thank to Mr. Joydeep, Mr. Sher Singh, Mr. Khan and there whole team to make our stay so memorable. I along with my whole family thank them for a lovely weekend. Will Surely Recommend This Hotel to Friends Just for Luxurious Stay and Pampering from the entire staff. Checking into an accommodation place that has an excellent fitness facilities ensure you can continue with your exercise routine even when you are away from your home. If you are staying in Shiv Vilas, you will certainly attain this facility as the palace possesses a gymnasium for its health conscious guests. Fitness center at Shiv Vilas is home to a state-of-the-art selection of modern gym equipments which include free weights, treadmills, cycles, a cross-trainer and rower. And the best thing is, it’s located right amidst the natural elegance, to increase the comfort and benefits. Our expert professionals are always there to guide you so that you may acquire the most benefit of your exercise session. Hidden light fixtures and innovative use of colors and light created the illusion of being outdoor, reinforcing the fitness room’s soothing ambiance. 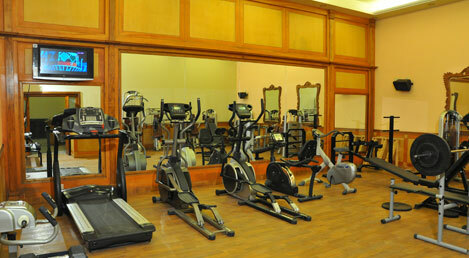 A personal warming up, cooling down and Yoga section is also provided inside the health club. 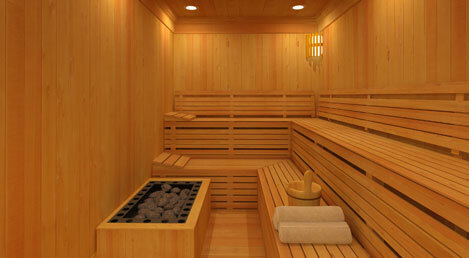 Much has been made of the health benefits of sauna bathing. With good reason. Physically, nothing is more reinvigorating than a deep, healthy sweat every day. Tension fades. Muscles unwind. Mentally, we emerge relaxed, revived and ready for whatever the day may bring. Busy schedules and stressful lifestyle calls for the demand of various relaxation techniques, and one of them is Steam Bath, which you can enjoy absolutely Free at Shiv Vilas Resorts. It gives a soothing effect to your body and mind, thereby reducing stress levels and tension. The cumulative effect of sweating results in reduction of toxins in your body. It is an effortless and a practical way to detox, and with a greater degree of effectiveness. This regulates and stimulates the flow of blood and boosts your metabolism. Thus, it also aids in steam bath weight loss. It helps you generate heat from your body. This in turn increases the blood circulation to your skin and thereby helps in skin nourishment. From quiet repose to stimulating invigoration, your experience at Shiv Vilas Jacuzzi Bath will become the bath that you create. Whisper quiet motors, colorful lighting, dancing air bubbles, powerful jets … You create the bath experience you want as an expression of yourself and an extension of how you want to feel. We understand you need a place in tranquility, where natural beauty is all around and you can relax without any discomfort. But luxury and royal touch is still necessary. Thus, we have created an all marble swimming pool which will not only provide you with the relaxing moments, but you will feel like being a king sitting at the corner of the pool side. Mated is the natural elegance of the surroundings. 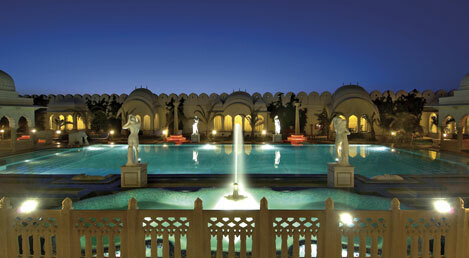 The all marble pools beauty is complemented by the surrounding gardens and statuettes. An automated shower is also provided to help you. And a Jacuzzi is located at poolside for the outdoor lovers. You may also enjoy a sunbath near the pool. We have a full fledged concierge desk which can assist you for all your travel requirements, starting from Airport/Railway station pick/drop to sightseeing. All your travel arrangements will be arranged as per your requirement. We have a fleet of transport from a Normal car, SUV’s, Mercedes, BMW , Luxury Bus and Limouzines. 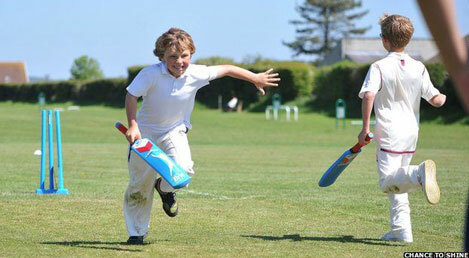 Children’s can enjoy Cricket, Tennis, Kite Flying, Carrom, Chess and There is also a Kid’s activity room. ©Shiv Vilas Resort. All Rights Reserved.